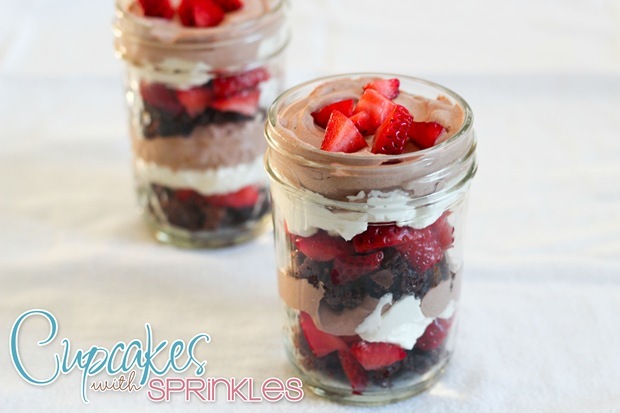 Its Meghan from Cupcakes with Sprinkles back with another delicious dessert for you to make! 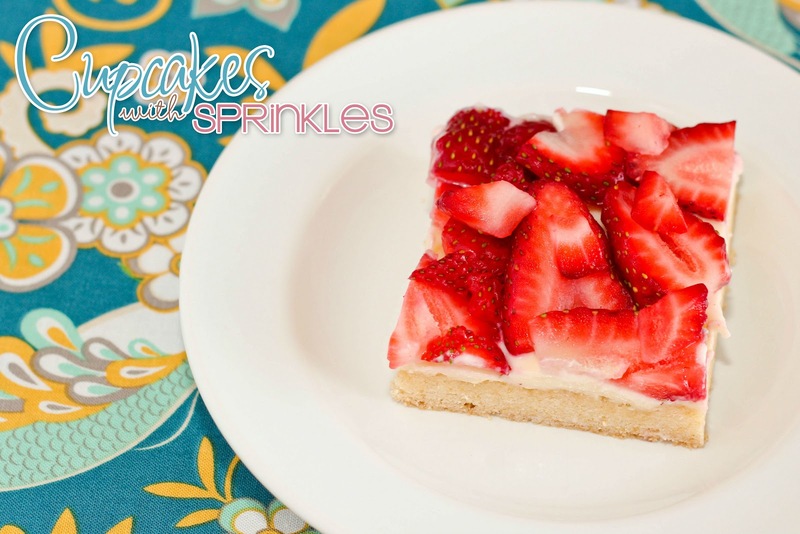 These bars have a soft cookie bottom with a sweet cream cheese layer topped with strawberries. So sweet and perfect for spring! 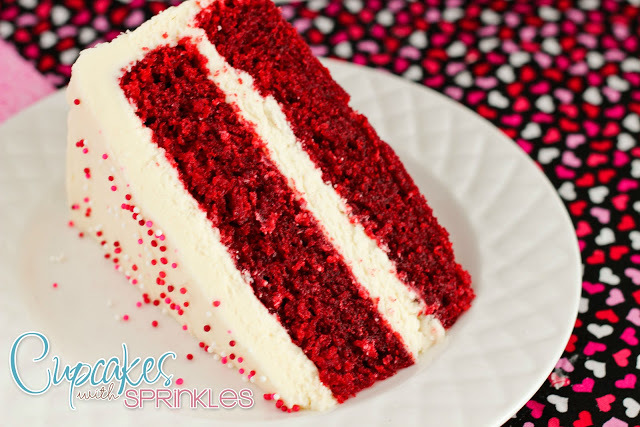 Refrigerate and enjoy! 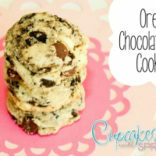 Its like I said, its perfect for spring! Preheat oven to 350 degrees then spray 9×13 with cooking spray. 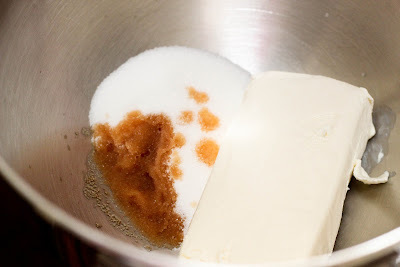 In large bowl combine butter, egg and cake mix. 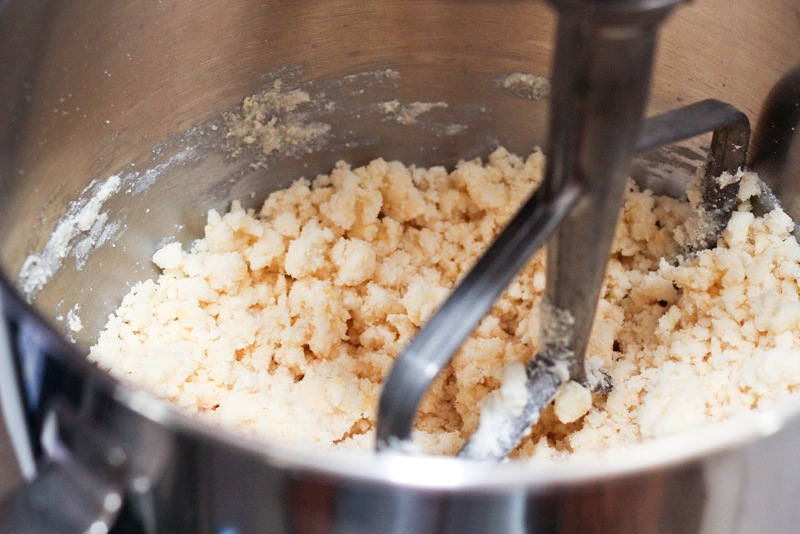 Mix until well combined. 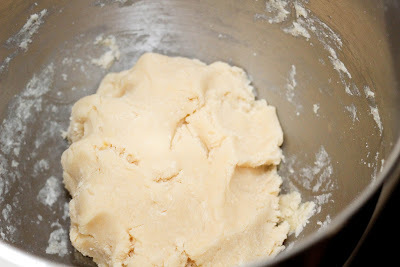 Then use your hands to make the dough into a ball. Press the mixture in the bottom of the pan and bake for 15-20 minutes. 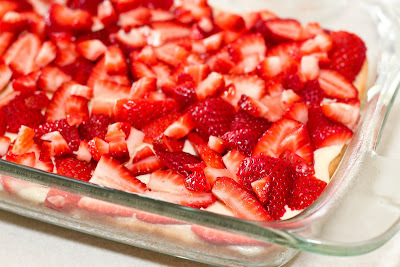 While the crust is baking slice the strawberries into ¼ inch slices. 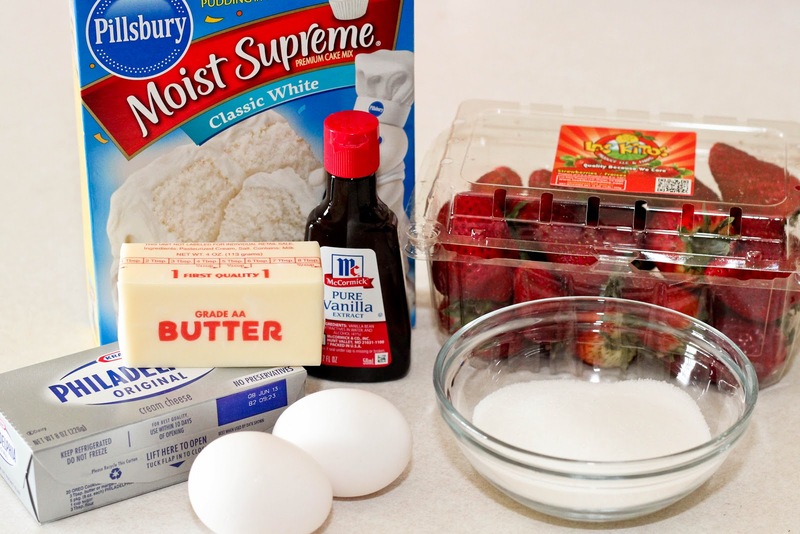 In a separate bowl beat the cream cheese, sugar, vanilla. 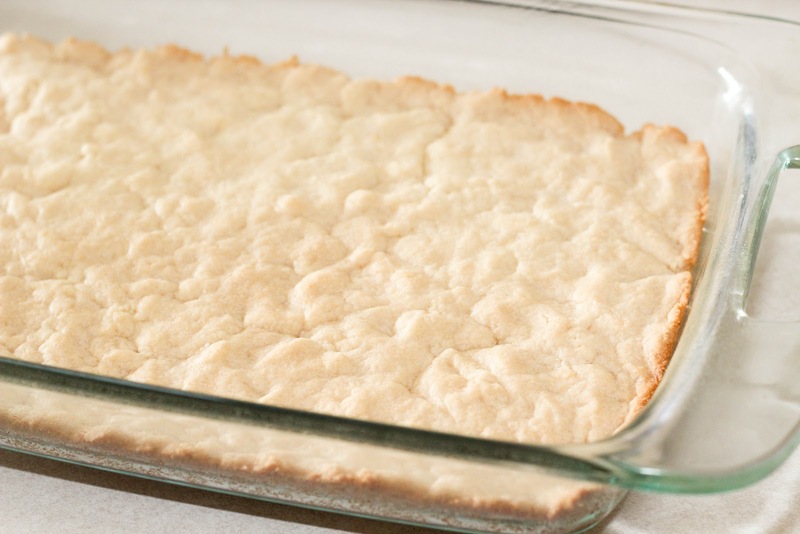 Spread cream cheese mixture over top of the baked crust. 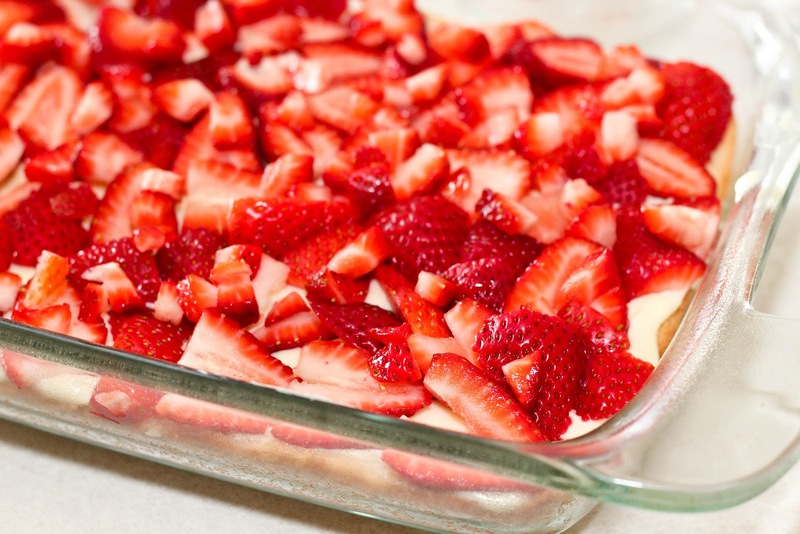 Place strawberries over the cream cheese. 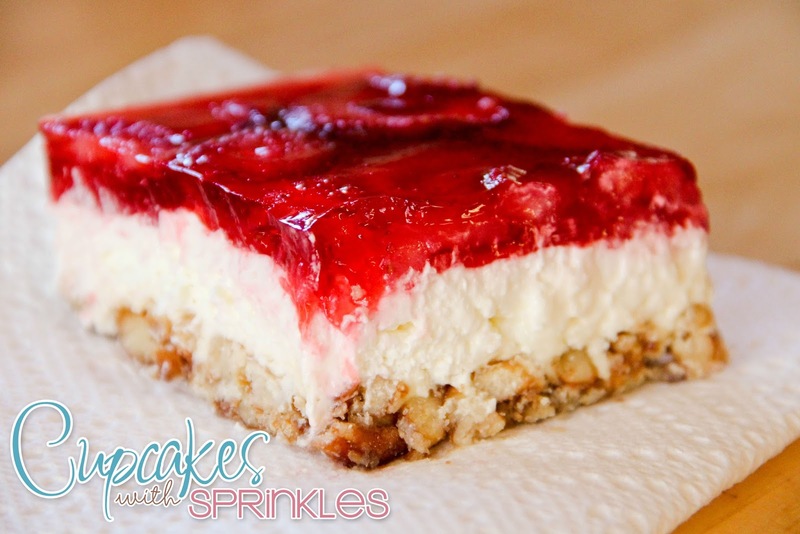 Place in the fridge for at least 3 hours before serving. 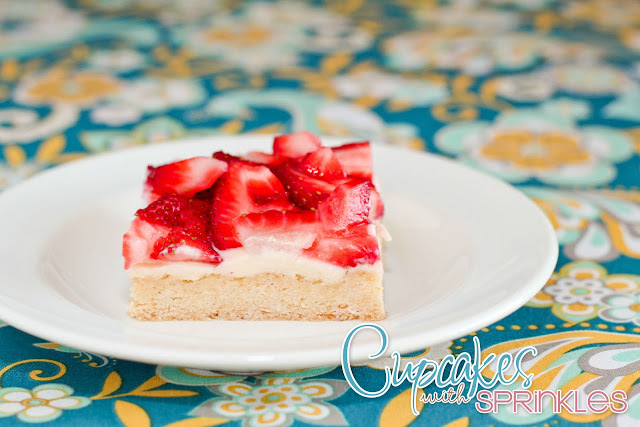 Be sure to check out a TON of other yummy Strawberry Cake Recipe ideas HERE! « Weekend Trip and Giveaway Winner!